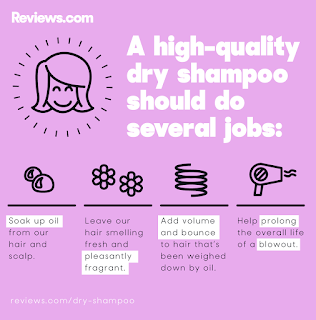 I have collaborated with Reviews.com to share their take on dry shampoos. I was excited when they reached out to me, and asked me if I could write up my thoughts on their article. Of course I jumped on the idea because I'm an opinionated beauty junkie. I also strongly felt like this article was helpful and informative. I would love for this article to help you out when shopping for yourself. For starters we all know dry shampoo has become such a beauty essential for people on the go. We're so busy we can't even wash our own hair daily! Honestly there is not enough time in a day to have full on wash and blow dry routine. 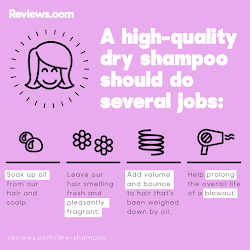 Many of us have come to rely on some type of dry shampoo every day. We definitely can count on dry shampoo to give you that clean and fresh just washed look. Not only is it a lifesaver when it comes to time, it is also recommended as one of the best ways to maintain a sleek salon styled look. After 6 weeks of research, the Reviews.com research team recently released their findings after analyzing 54 top contenders. Did you hear that? 54 top contenders! When finding the best dry shampoo for you there are a few factors to keep in mind. They eliminated formula's that left behind a chalky residue that was visible on the hair. They also avoided those with a strong odor, as people have allergies or are sensitive to scents. Budget and durability of the product also factored in, because a long-lasting dry shampoo is key to maintaining clean hair. Go Ahead please check out this amazing guide by Reviews.com! 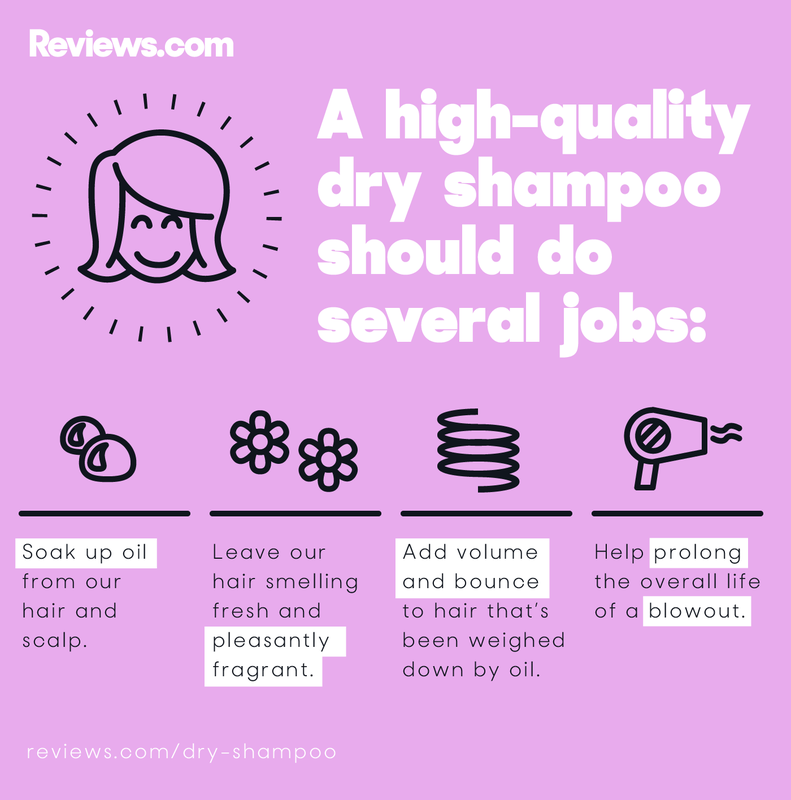 If you're shopping for a dry shampoo this will help you factor everything that you need, and are looking for. You will find various formula's that were top picks, and those that didn't make the cut. Happy Dry Shampoo Shopping Dolls! Had never even heard of their #1! (Klorane Dry Shampoo) Will have to try! As of now I use Batiste, and was thinking about trying Lauren Scrugg's Stranded brand. Thanks for sharing this list!